Just a hop away from Myrtle Beach, Conway SC is a college town that offers visitors and residents a great opportunity to experience some of the regions best dining and relaxation choices. While not the biggest town "officially", Coastal Carolina University brings a young and exciting vibe to this town and local businesses have answered the call by bringing a great diversity that benefits everyone! If you're out on the town for your Party Bus Conway experience, here's a few of our favorite spots that are definitely worth checking out! Treat yourself to something special in a Conway Party Bus! 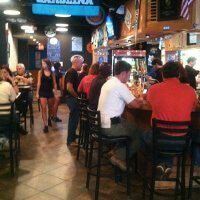 Whether you're looking for a great happy hour, some unbelievable chicken wings, or a few brews after a hard day's work. Conway SC has just what the doctor ordered! On several occasions we've stopped in at the Crafty Rooster and have never been disappointed. 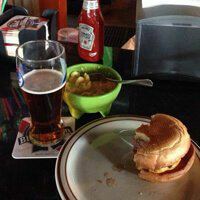 Our particular favorite aspect of this place is the really affordable beers, and the tasty food... Food that truly rivals some of the area's best restaurants! If you're ready for a great night out in Conway, and would like to indulge in some great seafood, sushi, and some drinks... Look no further than the Rivertown Bistro! On every visit here, we just like it more and more. It features a casual yet upscale ambiance and features one of the most inventive menus we've been able to find in the area. 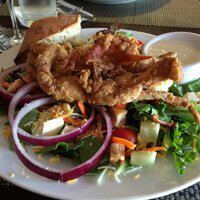 Whether you're a resident of the area, or a visitor... Rivertown Bistro is worth the trip. Smack dab across from Coastal Carolina University, Tongy's has become quite the hangout in the area... and for good reason! They have an affordable selection of food (check out the burgers, they're worth the price of admission), as well as a diverse selection of beers both on tap and in the bottle. If a busy crowd is not your thing, be sure to check in before 10pm, as the place tends to fill up in the evenings. Crady's is best termed as a "lovely" little diner right in the middle of Downtown Conway. They do have a great selection of various items to choose from (as the name might suggest), and feature a very fresh and cozy ambiance from which to dine in. The service here has always been attentive, but not intrusive. 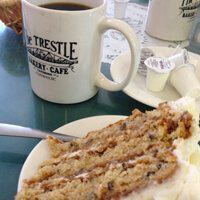 The food has always been fresh and delicious. Stop in and give the Tuscan Panini a try, it's my personal fave! This charming little dining establishment brings back the vibes of the 1950's featuring a black & white checkered floor and a quaint decor that makes you feel at home right away. 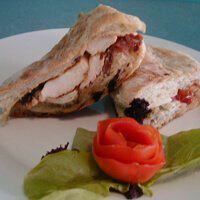 All of their sandwiches are made with home-made fresh bread and truly the finest ingredients. No canned nothing! The service has always been spot on, if not super friendly which, is what truly keeps the patrons coming back to their favorite spots. Sometimes only something fresh off of the grill will do. Other times, only the best grilled delicacies will do. This is where Coppers Restaurant comes into the picture! 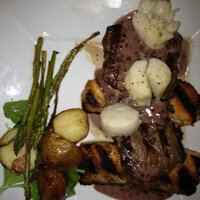 They have a great selection of your three primary meats... Steak, Chicken, and Seafood. Let us tell you that all three are done, and done well! Add in the classy and somewhat "moody" ambiance, and you've got yourself a bona-fide dining experience!